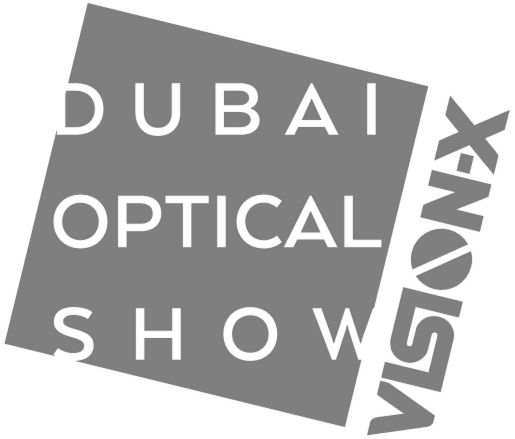 Next Stop – Dubai Optical Show! Why Dubai? Why not Dubai?? Indeed we can hear you asking these questions!! For the trade; going to an Optical Show – is all about getting the latest trends most cost efficiently. The choice of what is good will depend on what is good for individual clients and their customers, considering that India has a wide range of culture, tradition and styles as well as economic freedom. Branded as – Dubai Optical Show Vision-X – it brings together the top MENA (the Middle East and North Africa) buyers in the only eyewear and eye care trade event of the region from November 13 to 15, 2018 at Dubai World Trade Centre. 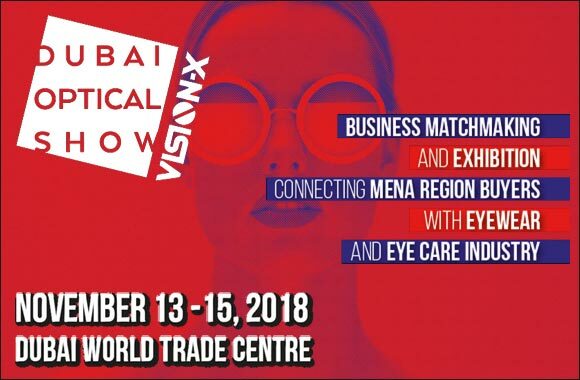 With a strong line-up of industry announcements and participation from new innovators and known international and regional fashion eyewear brands, Dubai Optical Show Vision-X is set to produce a comprehensive three days of business matchmaking and exhibition. As an indication of the positive response to the show’s new concept, 20 new Italian exhibitors and many others from France, Germany and across MENA have recently confirmed their participation. To continue attracting the most important names in the industry to attend, Dubai Optical Show Vision-X has been conducting a roadshow to key countries with KSA, Iran, Lebanon, Kuwait and India already covered and Turkey, Jordan, Egypt and more underway. In addition, to guarantee the best ROI and a real boost for business networking, the event promises to provide its exhibitors the new hosted buyers programme, with more than 200 key buyers to be hosted in Dubai by the show organizer. Exhibitors and selected hosted buyers will have access to an effective business matchmaking system that allows them to request for an appointment based on availabilities and block their schedule once a meeting is confirmed. Throughout the process, both parties are assured an excellent online and onsite support to get maximum benefit from this system. The exhibition will be divided into five different communities which are International Village, Design Gallery, Middle East Square, Lenses and Contact Lenses, Stage and Healthcare Suppliers. The International Village is the pavilion that exhibits international brands from across the globe, each one positioned with its own stand. Independent designers showcasing their niche and stylish frames will be found at the Design Gallery spot. The Middle East Square comprises of the top-tier producers from the Middle East showcasing the full range of vision-care, eyewear, and ophthalmic lenses market. Lenses and Contact Lenses Stage involves companies known for their extremely high standards of contact lens quality and product choice spanning from lenses in both standard and specialist designs. Finally, Healthcare Suppliers will showcase a unique mix of healthcare companies and experts belonging to eye care and healthcare technology worldwide. At this year’s show, latest fashion trends, top design brands, industry manufacturers, suppliers and distributors all come together under one roof to showcase what has been freshly produced for the consumers of the world. The event runs from November 13 to 14 from 10 am to 6 pm and November 15 from 10 am to 5 pm. Vision Plus being the leading media representative of the Eye Care Industry in India – is the regional advisor for The Dubai Optical Show in India, and has along with the organiser reached out to the Mumbai Optical Association to encourage its members to take the advantage of going to a place nearer home, and get the advantage of European Style and price and a chance to interact with them all – including MENA clients. And to also check out for designers and so much more all just a few hours away. Soon, we would be also reaching out to the other regional organisations, as well. Please feel free to write to us at marketing@fourplusmedia.com with the caption – DUBAI OPTICAL SHOW, with a brief profile of your company, we will be only too glad to be in touch with each of you.